Pepsi Cola is the third highest selling soda behind Coke and Diet Coke. Pepsi is found in most places around the world and is the preferred cola of choice for many people. 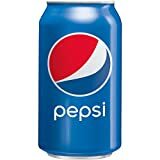 It has come to our attention that Pepsi Cola has a different formulation in the UK and other markets and thus has a lower caffeine content there. It contains 37.6mg per 12 fluid ounce (355ml) can. 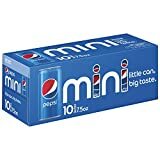 It comes in many sizes and variations but most describe Pepsi as having a sweeter taste than Coke and they are correct. 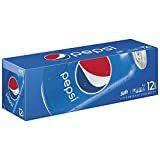 A can of Pepsi has 41 grams of sugar while Coke has 34 grams. As far as caffeine is concerned, Pepsi has 4 mg more caffeine than Coke per 12 fl oz can. PepsiCo. who makes Pepsi Cola is the largest food and beverage company in the USA as well as Russia, India, and the Middle East. 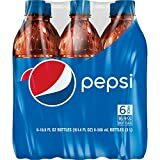 Pepsi Cola contains 3.17 mgs of caffeine per fluid ounce (10.71mg/100 ml).